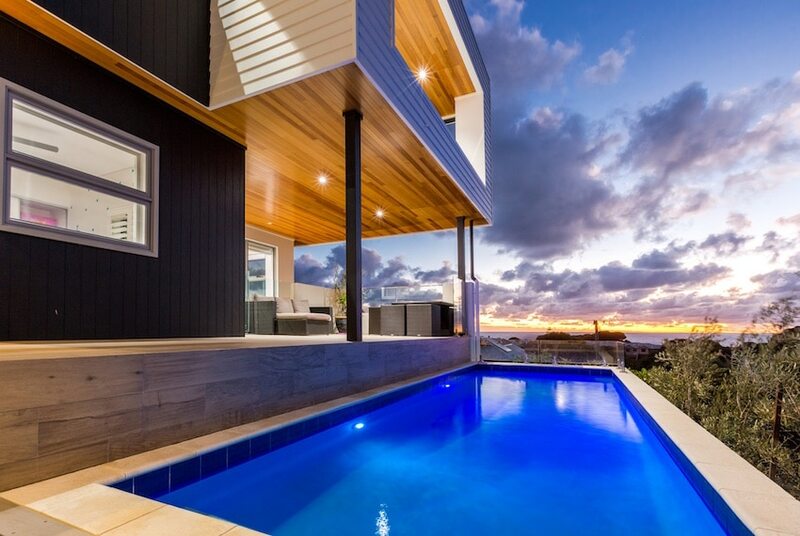 With views to the horizon, this beachside house sits high on the hill at Yallingup, a popular tourist town 260km south of Perth famous for the beaches, limestone caves and rugged vistas of the nearby Leeuwin-Naturaliste National Park. Charged by their clients to create a ‘forever home’ for their growing brood, local architect Justin Everitt and builder Mike Valmadre joined forces to deliver a multi-level masterpiece worthy of its vantage position and spectacular surrounds. 586m² building including balcony & alfresco. How to design a home that’s perfect for now but which can evolve to meet the needs of a family as children come, grow, go and return? Everitt’s answer was a three-storey dwelling with multiple living zones, which capitalises on iconic views and turns the challenges of a steeply sloping block to advantage. Cutting deeply into the site enabled the provision of a double garage, home gym, storage facility and boat shed at basement level, while a stairwell and lift shaft provide access to the heart of the house – the ground and first floors. The former houses three bedrooms, a children’s activity room, home office, bathroom, powder room, laundry, swimming pool and a covered verandah which boasts panoramic ocean views. Upstairs, the master bedroom opens into a resort-style ensuite and walk-in-robe, while the home’s spectacular professional kitchen and open plan living and dining areas flow seamlessly to a covered alfresco terrace with 180-degree views of the Indian Ocean. Considerable collaboration between builder Mike Valmadre and in-house building designer Fraser McAlpine was necessary to overcome the challenges posed by the site and ensure Everitt’s vision was translated into a durable dwelling compliant with the building code and capable of withstanding coastal conditions. “The block had a fall of almost seven metres, there were some building height restrictions and there was an old cottage on site that we had to demolish,” Valmadre says. 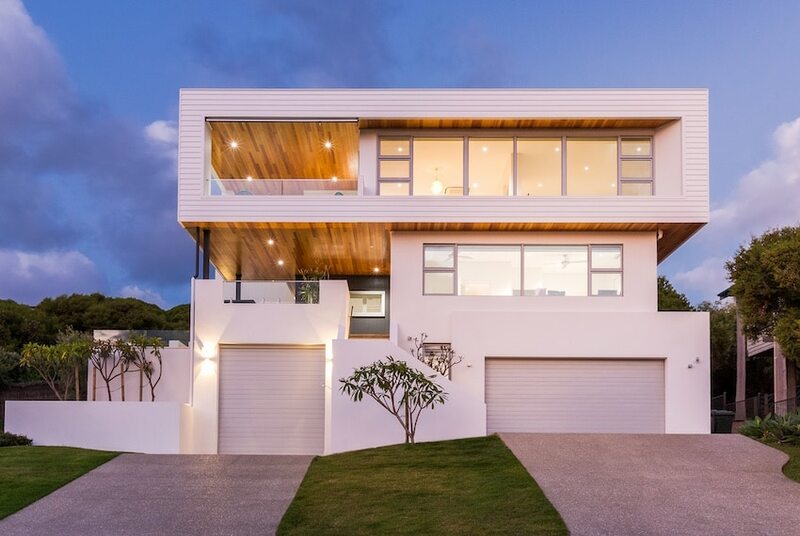 “Making the most of the spectacular ocean views to the west and Cape Naturaliste to the north meant we had to look at some deep overhangs for summer shading and determine the optimum placement of windows and external doors. 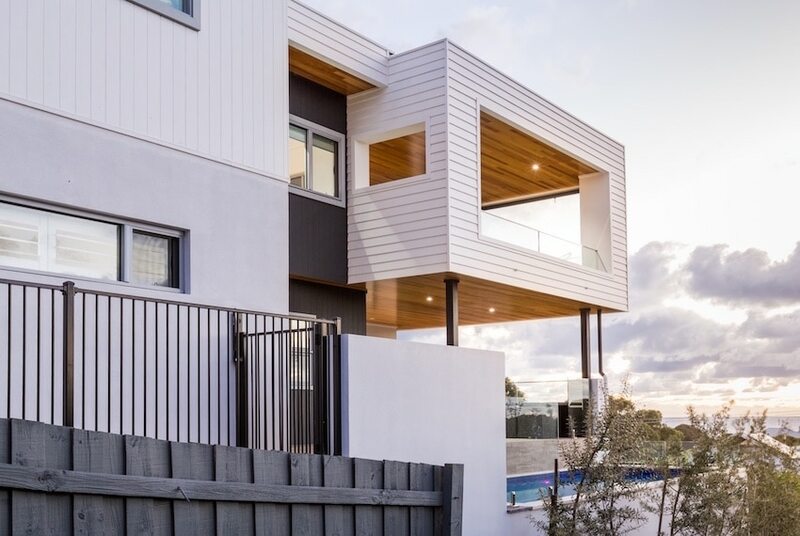 With a track record constructing West Australian coastal homes sympathetic to their environs, Mike and Fraser recommended the clients consider incorporating Scyon Walls products extensively in the build. “We see Scyon as an elegant alternative to heavy masonry products – it provides equivalent strength in a lightweight guise and that ticks a lot of boxes for us,” Fraser says. 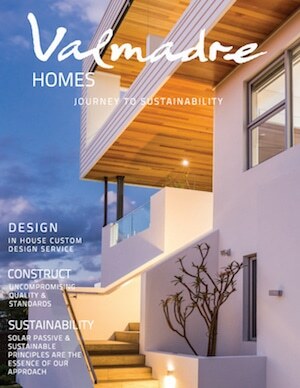 Scyon Linea has become synonymous with modern coastal architecture in the region and is in tune with the home’s surfside setting, Valmadre believes. “Scaffolding can be a significant cost on multi-storey homes like this one,” Valmadre says. The stud framed Scyon walls on the home’s upper levels incorporate significant insulation; a feature which would not have been possible, had brickwork been used. Blocked Drains Perth WA on On-site Wastewater Systems. ATU’s for sewer treatment and water re-use.